Create a gorgeous, traditional look with Mayne’s Bradford Mail Post. This Mail Post offers a perfect blend of beauty and functionality. Mayne’s Mail Posts are crafted from 100% high-grade polyethylene for durability and longevity that will last throughout the seasons. 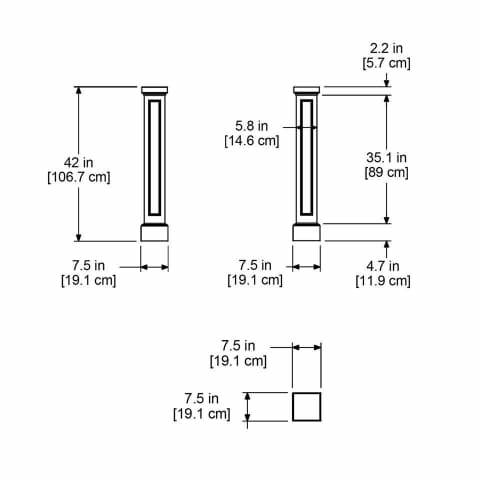 This Pedestal Style Mail Post fits over a standard 4×4-inch post and creates a stunning visual. The Bradford Mail Post is a great fit for mailboxes with front and back doors to avoid walking onto the street to retrieve your mail.